Home In the News Why Does The DAPL Matter in the Southeast? Or Anywhere? 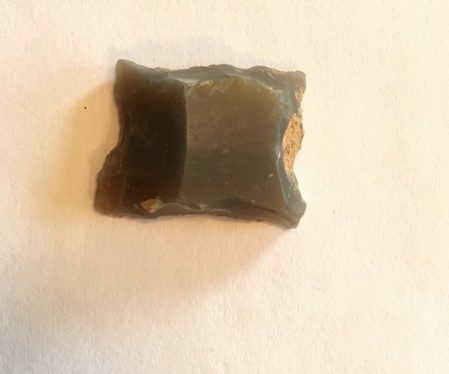 Example of Projectile point from Mississippi Prehistoric Site. To of my friends here in the Southeast, and across many parts of the country, the Dakota Access Pipeline (DAPL) issue and protests may seem a bit far away- like something that’s happening to other people who are just trying to get attention and keep Americans from getting jobs. There are certainly many aspects to the situation, but I thought I’d try to bring just one important archaeology one home. I recently met a wonderful lady from a community in northeast Mississippi, whose family owns land where that county’s first county seat was located. Her property contains the rubble of a courthouse, a jail, a blacksmith’s shop, hotel and other buildings. 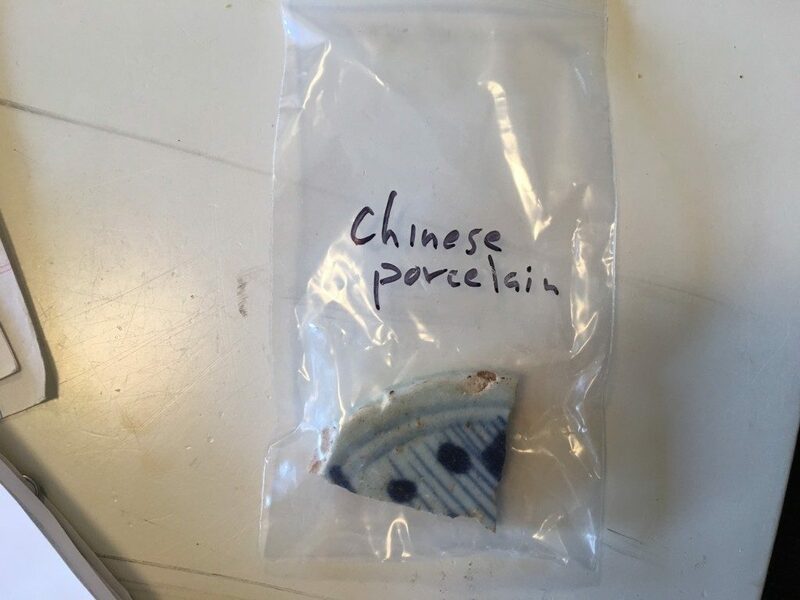 It’s a very early historical Mississippi settlement that has yielded some very interesting artifacts. I’m sharing a few images of those artifacts here. This site also has earlier Native American sites on it- some dating back as long as 8,000 years ago. It’s truly worthy of several historic markers. This lady grew up collecting these artifacts with her brothers and parents. They kept them in labeled boxes. Her parents loved the history of the area and spent a lot of time researching and documenting it. They wrote books and worked with historians from all over the place to share information, records and write stories of the people who lived there. Her most precious memories are of exploring this history with her parents. She recently sent me a letter she received about plans for a high voltage transmission line that has a proposed route through her property, including this old settlement. She’s worried that it will destroy some of the site and of course, she doesn’t want a big ugly power line going through her property. A few years ago, a clay pit was proposed for that area. 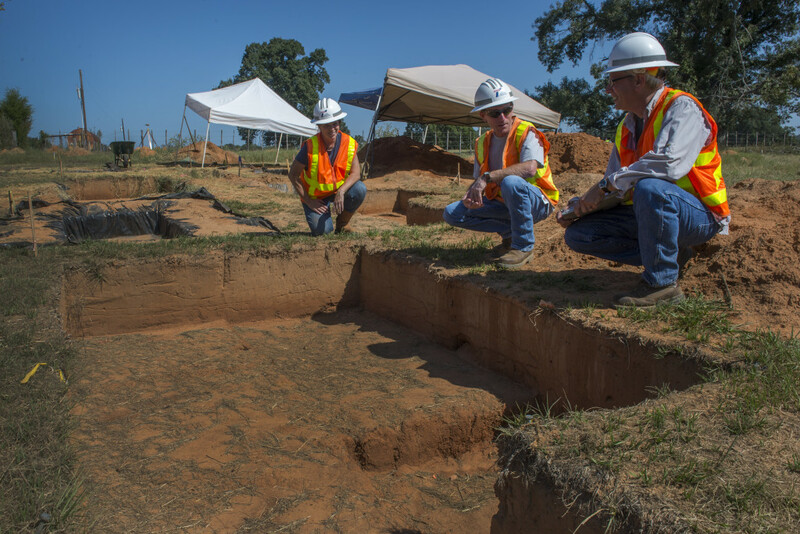 The company was required to hire archaeologists to do a cultural resource survey-in other words, they had to check the whole area both in state archives and on the ground, to make sure no significant historic or prehistoric sites would be affected and if so, to what extent. Because that survey was required, this already widely known site was further documented. It was at that time determined to be eligible for the National Register of Historic Places. 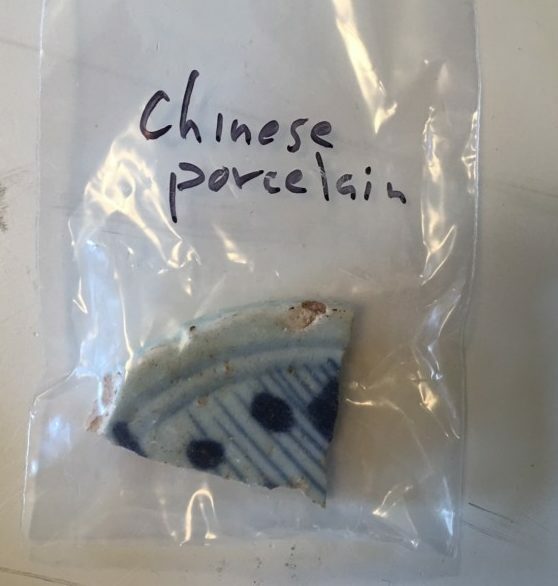 Chinese Porcelain sherd from Mississippi Historic Site. Now, with this transmission line possibly coming through, this company will also have to check for significant cultural resources. This site is now officially documented. The company doing the transmission line will have to either avoid it, or pay to have it excavated so that as much information as possible can be saved before it’s destroyed. This whole process, when it works as it should (and it usually does) is not unreasonable and is not intended to stop projects that have economic benefits. In fact, it assists them in moving forward. We must have laws and regulations that help protect our cemeteries, our battlefields, the footprints of forts, our prehistoric Indian villages and extinct towns. This process also employs the majority of young archaeologists (more mature ones, too!) who work for the Cultural Resource Management firms who do this pre-project work. They often refer to themselves as shovelbums and it’s how they hone their skills and pay off student loans. They go all over the place and stay in crappy hotels, work in the worst weather, eat cheap food and drink lots of beer. Their work is often the first line of defense that saves very important sites, that we might otherwise never even know existed. A lot of this archaeological ‘clearance’ work also ends up in our history books. The CRM archaeologists are also often the people who speak to your kids, teach them how to flint-knap or throw a spear at your local museum or school. Because of the Federal laws and agencies that are responsible for protecting our resources, the same process I just described above, would take place when something like the Dakota Access pipeline, a power transmission line or other project is proposed here in the Southeast or in your own back yard. When you drive by a construction site and see people in the distance with massive poles and lines, it’s important to know that archaeologist are recording our history and archaeology, and studying it. In development done right, that has archaeology ‘clearance’ laws, we aren’t losing part of our past to move into the future. 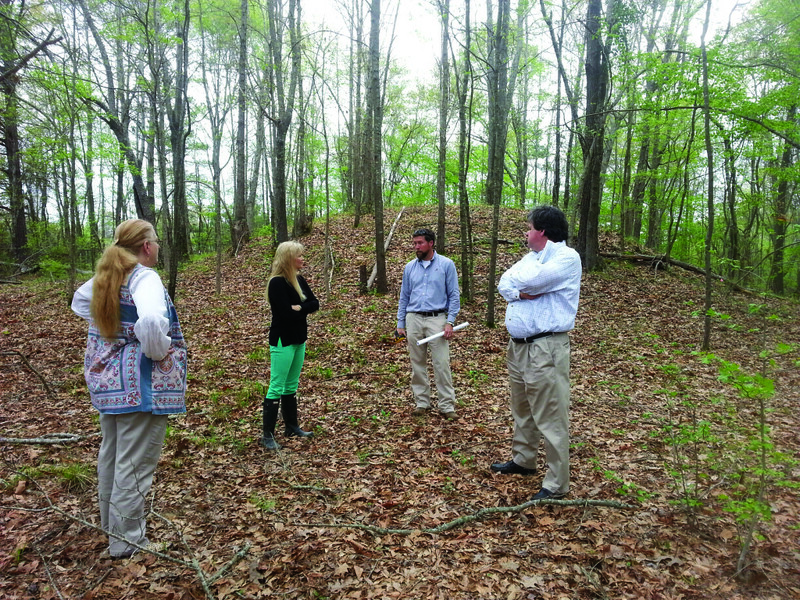 discuss the significance of protecting the Asphalt Company Mound during a recent site visit. Economic progress and environmental, historic and prehistoric preservation do not have to be mutually exclusive. In fact in recognition of this country’s commitment to preserving our history and archaeology – one of these essential laws, the Historic Preservation Act, was reauthorized in December for 8 years with bipartisan support in Congress. They can coexist, and we shouldn’t take the laws, regulations and the people that give us that assurance for granted. When a big project comes through your backyard, through a place that has meaning to you and gives you solace, through your home place and family cemetery, remember why it is that our country has archaeological and historic protections in the law. I know I’ve simplified a complex situation like DAPL but here I’m trying to illustrate one of the vital ways this affects us all, all across the country. 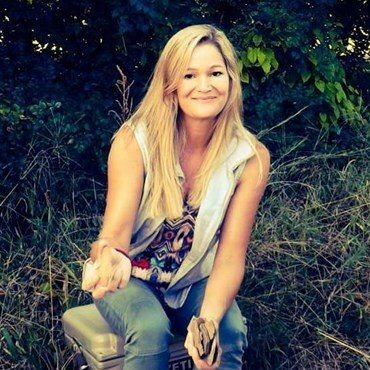 TAC Southeastern Regional Director Jessica Crawford at work in the field. That looks like a gun flint. thank you for the close eye. It may indeed be, I will recheck with the author. Yes the author confirms it is indeed a gun flint!! It is a British made gun flint from the famous Brandon Quarry. Thank you for the close read!! 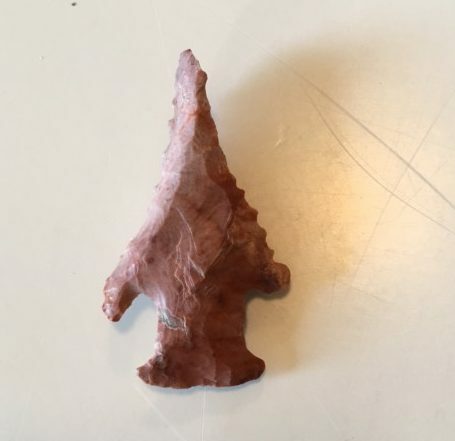 The object identified as a “broken projectile point” looks to me like a historic gun flint for a flintlock pistol or rifle. But I would want to see/handle it first/hand to be crrtain. here is SW Ohio i shudder at every farm field being excavated for a new development, which are alot. There are certainly artifacts in those fields. Whats person to do? Working with local archaeology or local history societies is often a way to help volunteer for ongoing archaeological recovery projects. It is at least be a good place to start – give your local societies a call, see if there is any way to get involved. Also Working with nonprofits like the Archaeological Conservancy, where we work with archaeologists and developers to document the most endangered and important sites to preserve and protect them. Thank you for your interest and support!! every time I see a farm field being developed I think of what we are losing.